Da na na na na na na na na. but it’s quickly becoming a must-drink! Why do we love Oat M*lk so much? It uses 7x less water to produce than almond or cow's milk. S-e-v-e-n-t-i-m-e-s! 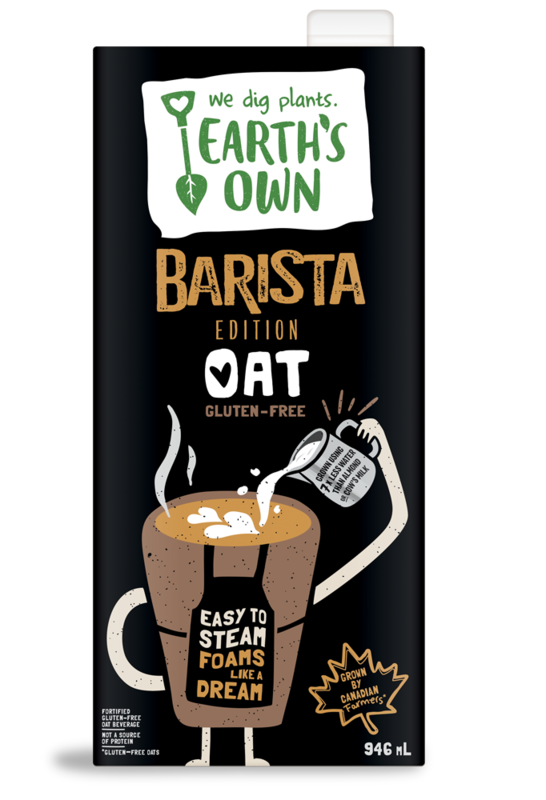 Plus our all-Canadian and gluten-free oats are grown without glyphosates using nothin’ but sunshine & rainwater. Protecting the environment is one of our main missions at Earth’s Own and we believe every little effort counts toward making a larger impact. All while using healthier ingredients, like sunflower oil instead of canola oil, because good fats are a good thing. It may seem like a glass of creamy & delish Oat M*lk with 4g of protein and 2g of fibre, but it represents a stronger planet and a healthier future. There is so much awesome stuff about living a plantiful life. Eat more plants, live more awesome. We’ve got a ton of inspiration + tips on how easy it is.